Poor scaffolding found during the refurbishment of a hotel, where unsurprisingly, a Prohibition Notice was served. 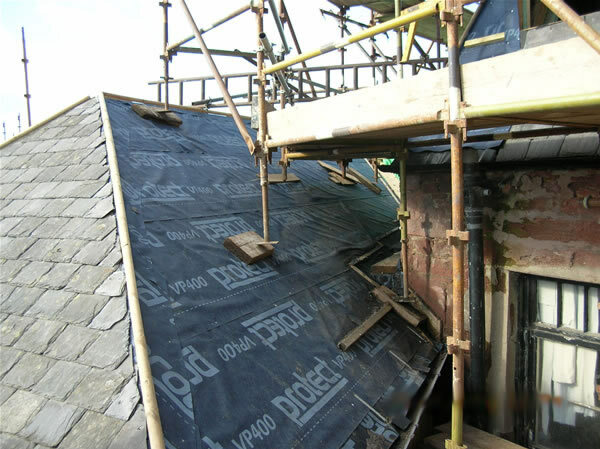 A roof of indeterminate strength was being used as a platform on which to foot the scaffold. 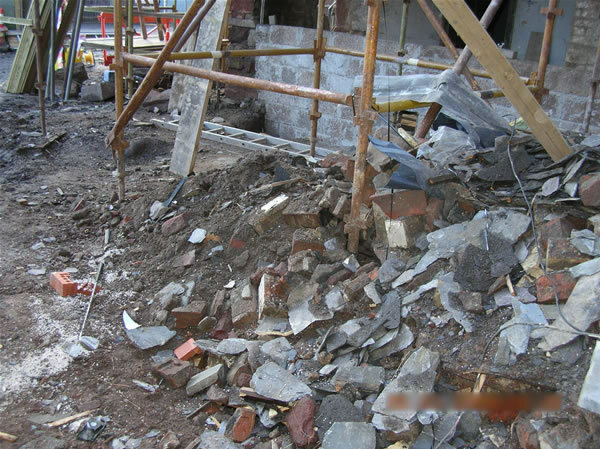 At ground level scaffold standards were footed on loose timber boards which were bridging an excavation, some footing could not be examined due to the build up of debris and scrap timber was being used to foot scaffolds rather than proper sole plates.